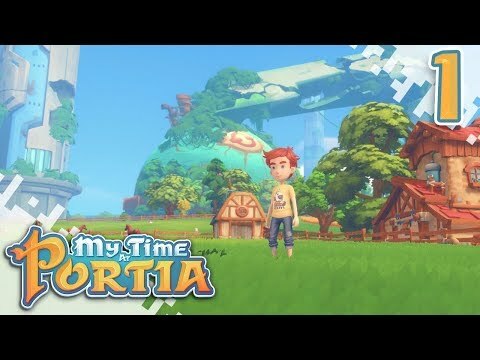 Start a new life in the charming city of Portia! Restore your father’s workshop and return to its former glory! Fulfill orders, grow crops, take care of animals and make friends among the peculiar inhabitants of the charming post-apocalyptic world! Armed with a reference book and an old father’s workbench, you will be engaged in collecting, extracting resources and creating objects to become the best master in Portia. Help the locals rebuild the city and uncover the secrets that lurk in its depths. And be prepared for the fact that the path will not be easy! Portia is full of friendly creatures with whom you will meet. Find new friends, fulfill requests, exchange gifts, go on dates and unleash romantic feelings! This city is full of curious characters with whom you will meet. They go to school and to work, train and have fun. Each of them has its own unique story. The player will be able to enter into various relationships with the inhabitants of the city: make friends, fall in love and even get married. Each player will be able to find his own way in Portia, immersing himself in the warm atmosphere of a small friendly town. Make your father’s remote workshop the best in Portia! Gather resources and win the hearts of local people by fulfilling their requests and orders.